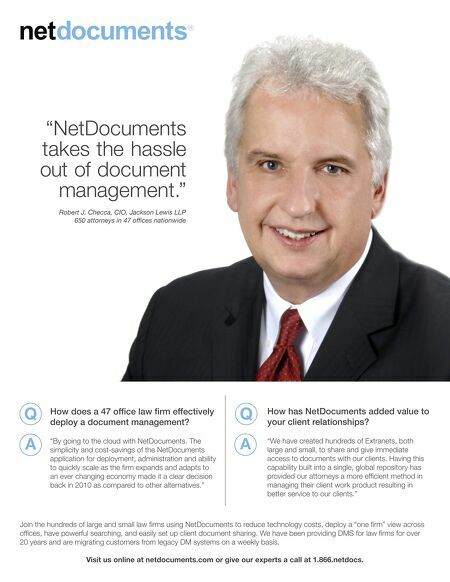 "NetDocuments takes the hassle out of document management." 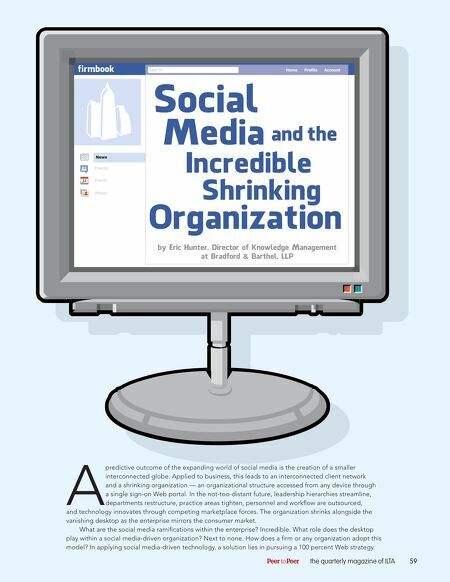 Robert J. Checca, CIO, Jackson Lewis LLP 650 attorneys in 47 offices nationwide How does a 47 office law firm effectively deploy a document management? "By going to the cloud with NetDocuments. The simplicity and cost-savings of the NetDocuments application for deployment, administration and ability to quickly scale as the firm expands and adapts to an ever changing economy made it a clear decision back in 2010 as compared to other alternatives." How has NetDocuments added value to your client relationships? "We have created hundreds of Extranets, both large and small, to share and give immediate access to documents with our clients. Having this capability built into a single, global repository has provided our attorneys a more efficient method in managing their client work product resulting in better service to our clients." Join the hundreds of large and small law firms using NetDocuments to reduce technology costs, deploy a "one firm" view across offices, have powerful searching, and easily set up client document sharing. We have been providing DMS for law firms for over 20 years and are migrating customers from legacy DM systems on a weekly basis. Visit us online at netdocuments.com or give our experts a call at 1.866.netdocs.